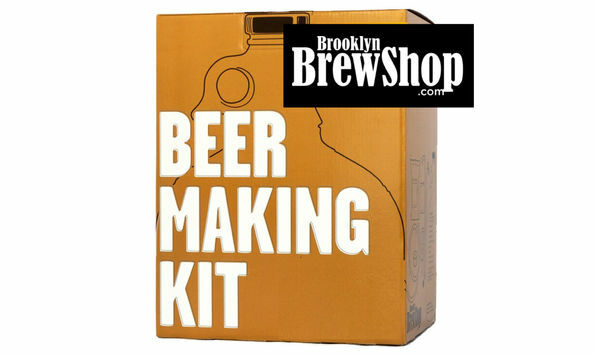 This is the kit you need to make beer at home. Compact and beautiful, it's designed for the widest range of kitchens big or small as well as the most discerning of beer drinkers. It also makes an awesome gift choice. If you can make oatmeal, you can make beer. The steps are easy to follow & familiar to anyone who's ever followed a recipe while cooking. Lovingly designed for discerning kitchens big & small (like really small), our Beer Making Kit is spouse approved, guaranteed. It's hard to take pride in plastic. Our Beer Making Kit consists of top quality American-forged glass & is infinitely reusable. Beer you brew should be as good as beer you buy. Our Beer Making Kit uses the same grain, hops & yeast as the best craft brewers.